Today we will look at a game showcasing the power of bishops on open diagonals. 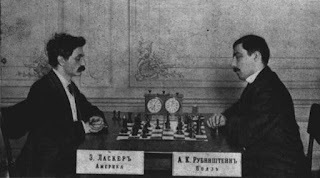 Our hero of the day is Polish chess master Akiba Rubinstein, who was considered one of the strongest players to never become world champion. In this game, Rubinstein took advantage of his opponent's exposed king to execute a well-planned queen sacrifice, opening the diagonals for his bishop pair to swoop in for the kill. The resulting combination was called "perhaps the most magnificient... of all time" by Carl Schlechter (Wikipedia). 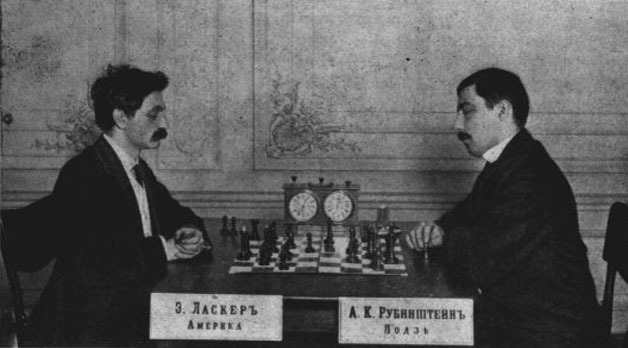 Tatakower criticised this move as a "loss of time". Indeed, this is not the best square for the queen, as it does not exert any useful control over the centre. Better would have been 10. Qc2. 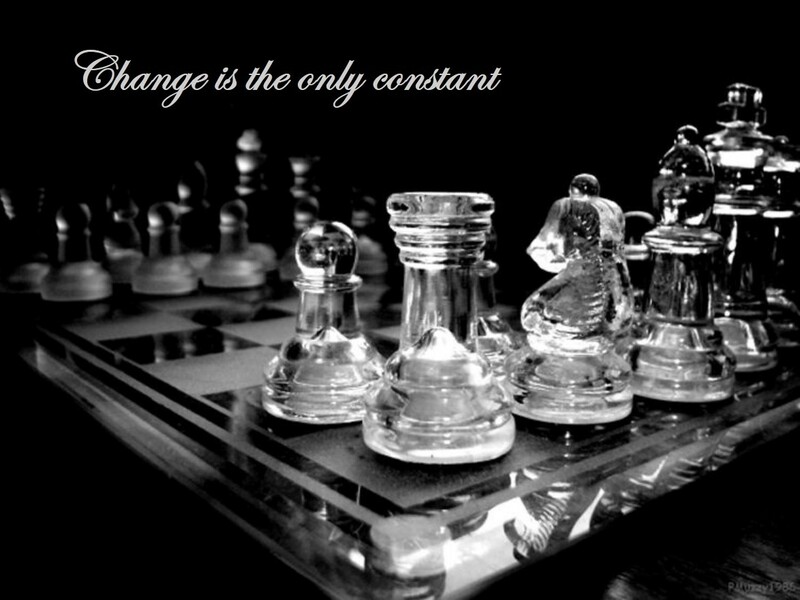 Giving up a pawn. The idea is to play ... Rd8 creating an indirect attack on White's queen. White was wise not to go for 11. cxd5 exd5 12. Nxd5 Nxd5 13. Qxd5 Rd8! gaining tempo with a strong attack. Exchanging off the defender of h2. 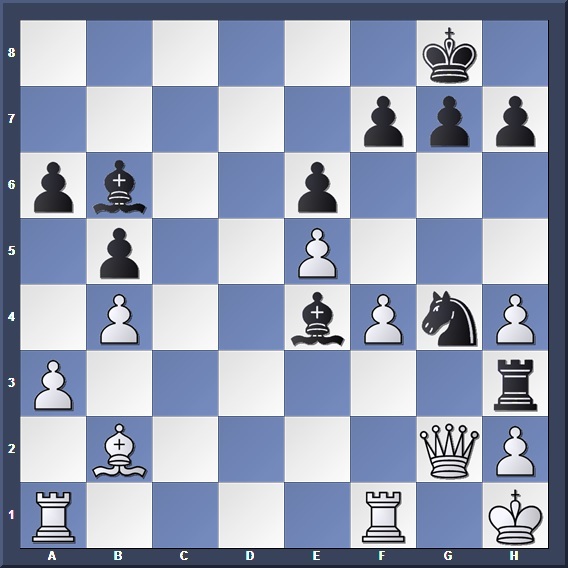 Black was threatening the following tactical combination after for example 17. Rab1? Bxh2+! 18. Kxh2 Qd6+ 19. 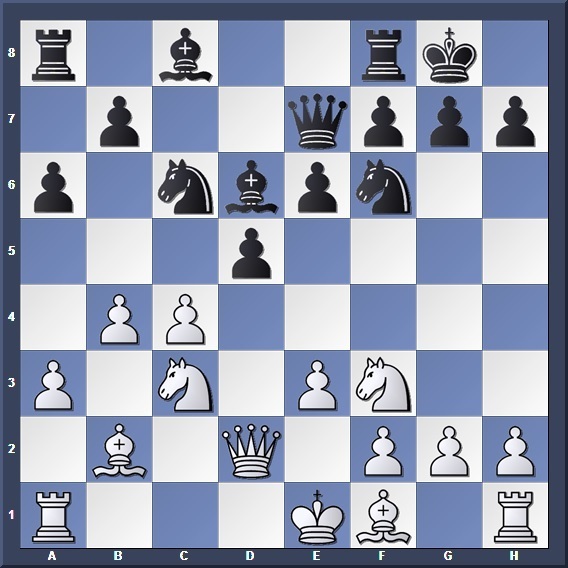 Kg1 Qxd3 winning a pawn and forcing their way into White's camp. White is planning for an e5 push, restricting the squares of Black's dark-squared bishop. But this exposes the king. 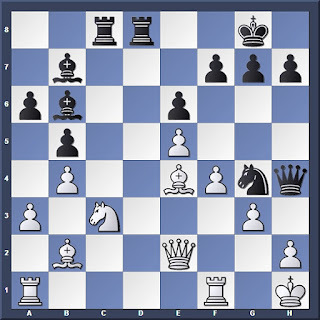 Alas, after all that effort in denying Black the h2-b8 diagonal, the bishop simply switches to another diagonal! White's king is in a precarious position now. Rubinstein wastes no time and goes straight for the attack. 20... Ne4 was possible too. At last, Rotlewi realizes the danger his pawn pushes have created, and hurries to exchange off the bishop pair. Of course, Black is not going to exchange! He must press on the assault before White's king can find any safety. A critical moment. Can you find Rubinstein's next move? A stunning queen sacrifice, banked on the fact that that two bishops are strong enough to fence in White's king. Black's plan is to remove the two defenders of e4 so that he can capture White's light-squared bishop with check. Continuing with the plan, removing White's last defender of e4 with another sacrifice. White's king has no escape. There is no defense to ... Rxh2#. 25... Rc2 would have finished the game off in a similar manner. This game was known as Rubinstein's Immortal and rightfully so; it is a spectacular demonstration of the power that two bishops possess on open diagonals. National Day Presents 2017: Test your Trivia!